L’Oréal Paris, the world’s leading beauty brand, has launched an exclusive range of fifteen shades of lipsticks to commemorate the 30th year anniversary of their renowned makeup brand Color Riche. With fifteen shades from five different color families, the brand intends to make every woman’s ‘color ever after’ a real possibility.For more details read my post. I recieved a sample of the lipstick and the name of the shade is 131 MISTINGUETTE ! 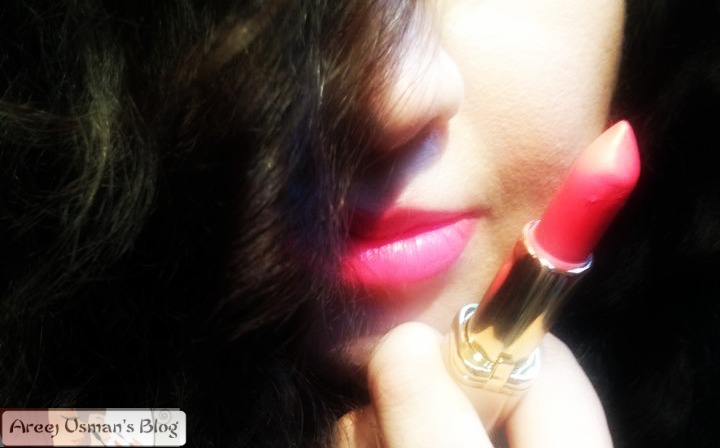 I am reviewing the lipstick today! Experience the intense, natural and boosting serum lip shades through L’Oreal Paris Color Riche where the L’Oréal Laboratories have selected only the purest and finest color pigments, combined uniquely with Omega 3 and Vitamin E to moisturise lips for smooth application and for comfortable wear. 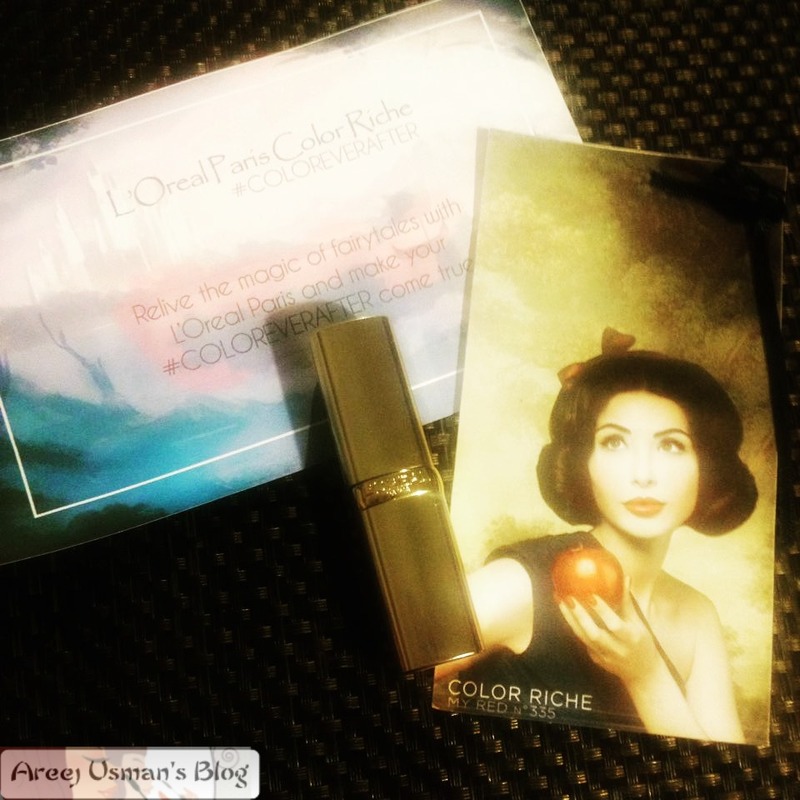 Loreal has always been one of my favorite brands when it comes to lipsticks.This is not the first time I am trying a Color Riche Lipstick.I already love the range.To celebrate 30 years of Color Riche Loreal has introduced new shades to the already selling line.It has shades for every age ! Those who love matte lipsticks can go for the matte shades and those who like satin or creamy finish can also go gaga on the range of shades available. The packaging of the lipstick is just perfect & dandy.The color of the lipstick in imprinted at the bottom along with the number and name of the shade. The lipstick is quite creamy.Glides easily on the lips and goes on smoothly.It doesn’t tug like some other matte lipsticks and also doesn’t tend to get dry.It keeps the lips hydrated.Though the color looks way too bright in the tube ,it is not that bright on the lip.Its formula is very opaque and pigmented.A single layer will give a good pay off but two layers will do better.It is a color for everyone.From medium,fair to dark skin tones,lipstick lovers will love this shade upon them.I am a pink lipstick lover thats why this is a good addition to my already pink lipsticks. 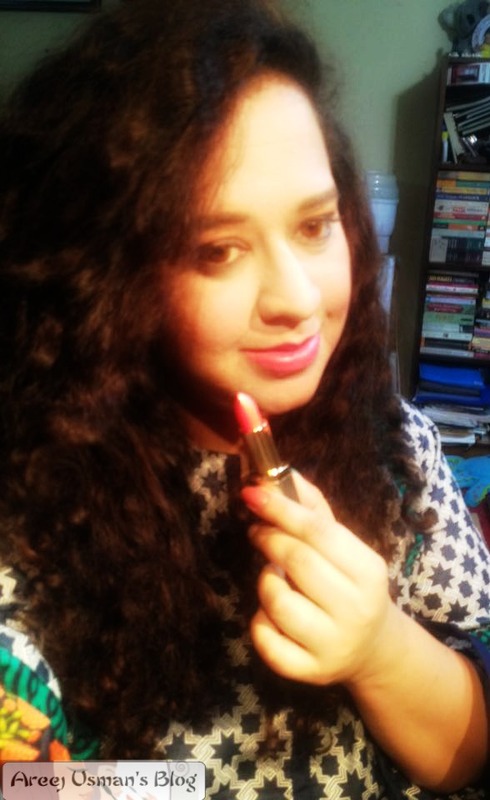 The staying power of this lipstick is a little lesser than my expectations.It stays on my lips for 3-5 hours with eating and touch ups.I want Loreal to improve the staying power formula of their lipsticks too. Here is a swatch of the lipstick on my lips. Yes thats the reflection of light on the lower lips.The lipstick itself is matte. 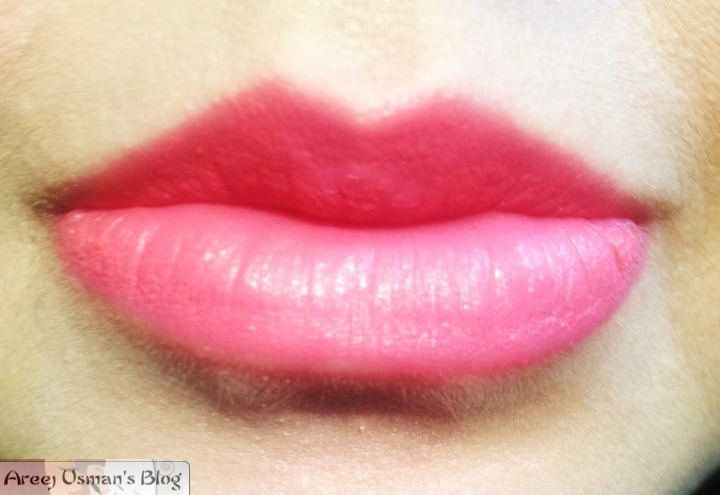 If you want a more brighter tone,apply two coats of this lipstick. 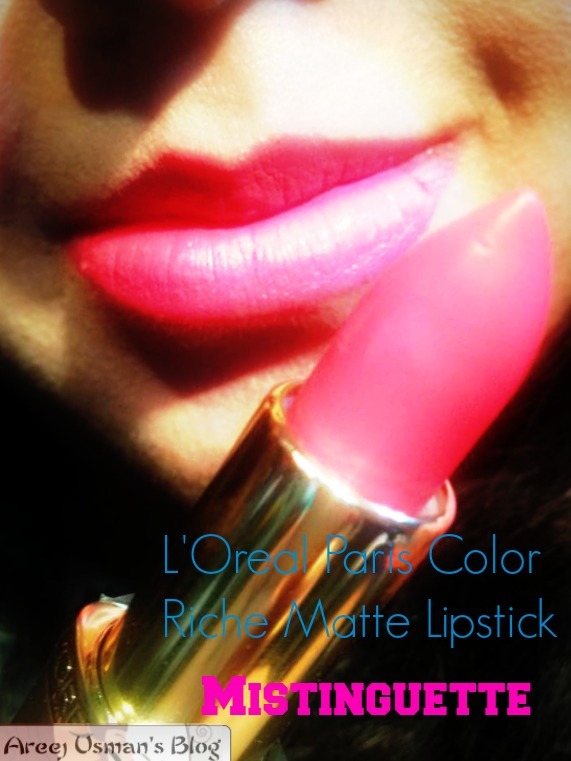 Have you tried any Color Riche Lipstick yet? It is a lovely colors …..
Colour looks great on you i have not used any of it yet . This shade look awesome. Best for summers I guess. Looks pretty on you as well.